NEW! Save 76% on German Genealogy Research Collection during Oktoberfest Sale at Family Tree Magazine! “Oktoberfest was originally the celebration of Prince Lugwig’s marriage to Princess Therese von Sachsen-Hildburgausen in 1810. Today Oktoberfest is known as the world’s largest beer festival and starts today in Munich! This festival was celebrated by over 7 million people last year who consumed more than 6 million liters of beer! If beer isn’t your thing or you aren’t able to go to Munich for the festival, you can still celebrate Oktoberfest by researching your German ancestry! 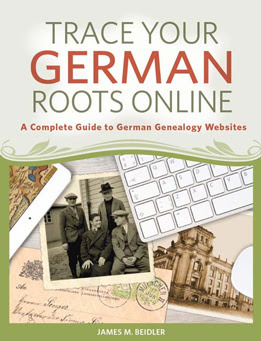 Trace Your German Roots Online (Book): Get a comprehensive look at how to trace your German roots through various websites and online tools that will make it a lot easier to find your ancestors. This new book offers genealogists valuable insight into all the possible ways to find your ancestors’ records on the web. Click HERE for more information. How to Trace Your German Ancestry Online (Video Download): This hour-long webinar will give you the latest information on tracing your German roots. 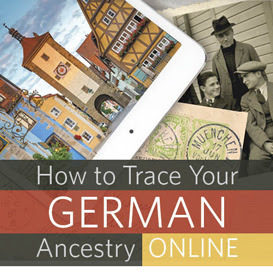 From highlights of the German-oriented assets of Ancestry.com and FamilySearch to navigating German-based genealogy sites, you’ll learn various resources and techniques to help you research – and it’s all online. Click HERE for more information. 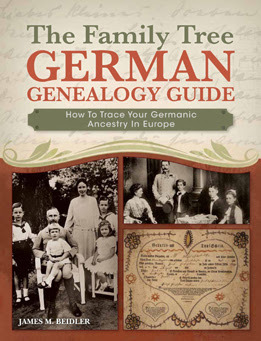 The Family Tree German Genealogy Guide (eBook): This German genealogy guide will help you find everything from your ancestors’ hometown to uncovering vital records that document their lives. You’ll also learn how to navigate through German language and unfamiliar script to make the best use of original records, and so much more! Click HERE for more information. 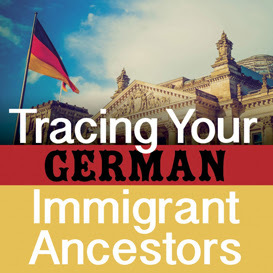 Trace Your German Immigrant Ancestors Online (Video Download): Our immigrant ancestors can be pivotal in our genealogy research, providing the bridge between old world and new, and tracing them back to their place of origin can be tricky. This hour-long video will help you pinpoint where your ancestors came from as well as provide historical context for their emigration. Click HERE for more information. 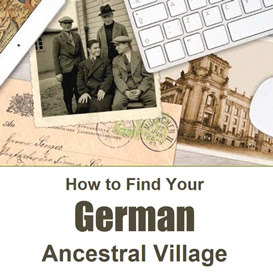 How to Find your German Ancestral Village (Video Download): This 30-minute video covers one of the most important steps to finding your German ancestors – finding their ancestral homes. Learn techniques and possible resources for finding the place your ancestors emigrated from, and that may lead you to finding their records. Click HERE for more information. 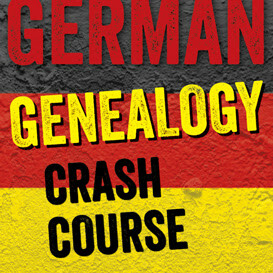 German Genealogy Crash Course (Video Download): This video will help you overcome many of the common challenges associated with German genealogy, providing insight into the German church records and other unique collections that may prove to be the key to breaking through your brick walls. Click HERE for more information. 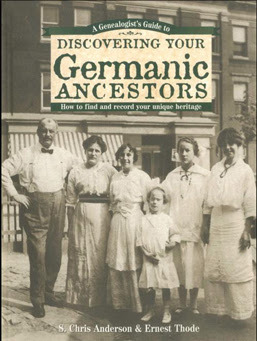 A Genealogist’s Guide to Discovering Your Germanic Ancestors (eBook): So many of our German ancestors aren’t actually from Germany, and this guide will help you trace your family history, even from Austria, Switzerland, Alsace-Lorraine, or other Germanic regions – as well as Germany. Click HERE for more information. 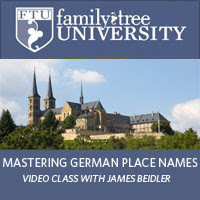 Mastering German Place Names (Video Download): Those German place names can be quite tricky, especially if you’re just diving into your German genealogy research. You’ll learn how to dissect geographical terms and administrative divisions so you can find your ancestors in their German homeland. Click HERE for more information. 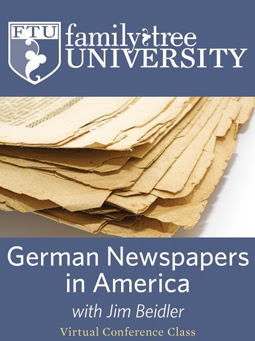 German Newspapers in America (Video Download): Stateside ethnic newspapers can reveal a lot about your ancestors! 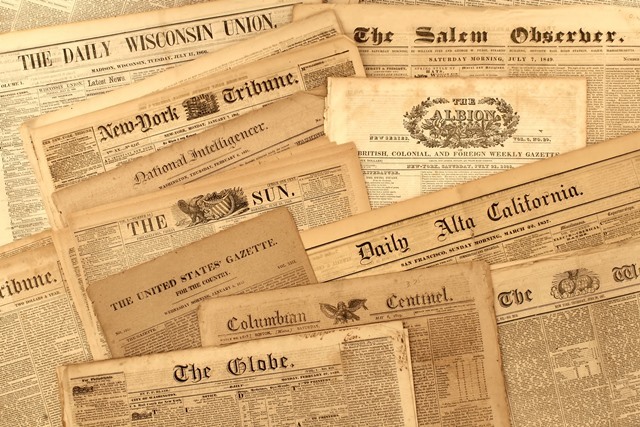 In this video, you’ll learn how to find, access, and read those German-language newspapers. Click HERE for more information. German Genealogy Cheat Sheet (PDF Download): There’s a lot of useful information in this 4-page cheat sheet that gives you a lot of great information for researching your German ancestry – all at a glance! 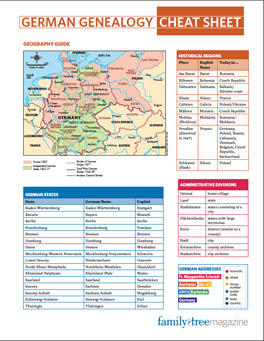 From the geography guide to the German alphabet chart and all the language translation tools (months, numbers, and common German words and symbols), plus the resource list of essential websites and books, this will make your German genealogy research go smoothly! Click HERE for more information. 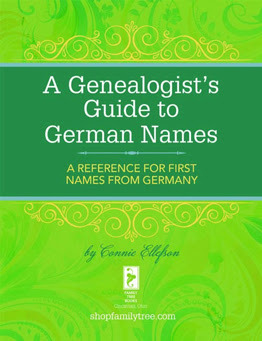 A Genealogists’ Guide to German Names (PDF Download): Searching through German names can be an exercise in frustration, but learning the naming patterns, meanings and traditions can help you distinguish your ancestor from the rest of the crowd. Click HERE for more information. *Advertised price valid through 9/30 or while supplies last. 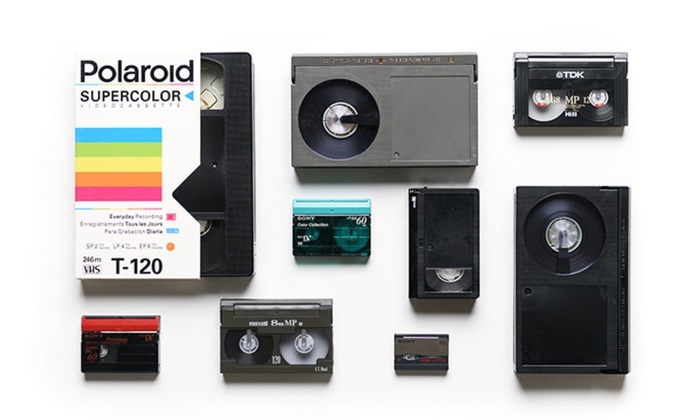 Convert Your Video Tapes to DVD and Save Over 60% at Southtree Digital Media: We just located this new vendor at Groupon with HIGH RATINGS for their work converting your cherished video tapes to DVD! Regularly $129 CAD, now just $99 CAD! Sale valid through Sunday, September 23rd. 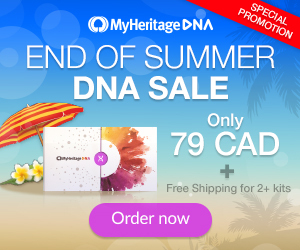 Click HERE to shop – via AncestryDNA Canada. LAST DAY! 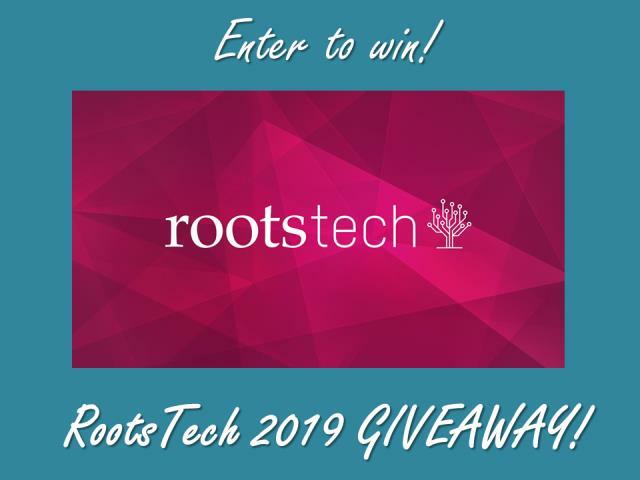 Win a 4-Day Pass to RootsTech 2019 valued at $299 USD! Genealogy Bargains has a way for you to go to RootsTech 2019 for FREE! * Enter the RootsTech 2019 Contest at Genealogy Bargains and you could win a 4-Day Pass to RootsTech 2019 in Salt Lake City, Utah, February 27 to March 2, 2019, valued at $299 USD! Click HERE for more information about RootsTech 2019. LAST DAY! Buy 1 Get 1 Sale on Genealogy Video Downloads at Family Tree Magazine! 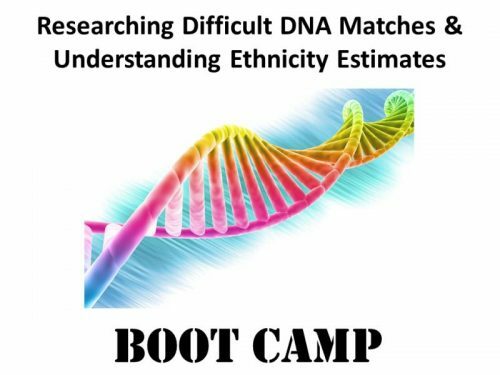 * “Do you want to take your genealogy research to the next level but you’re not sure where to start? Family Tree Genealogy Videos have you covered! With 420+ to choose from on the topics that matter most — from demystifying DNA and preserving vintage photos to mastering Ancestry.com and sorting through immigration records — there’s a video to get you on the path to success! 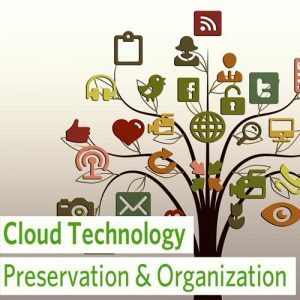 Cloud Technology: Preservation and Organization: You’ve heard about the “cloud” in computing, but what does it mean and how can you use it for your genealogy? Let an engineer and genealogist explain the latest in cloud services and walk you through using one of the most popular, Dropbox, to preserve and organize your family history. 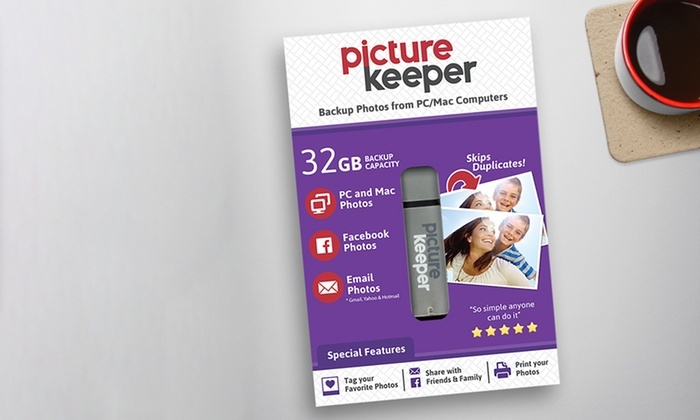 Go beyond simply backing up your files in the cloud and learn how to safely share files and collaborate with cousins. Click HERE to shop! 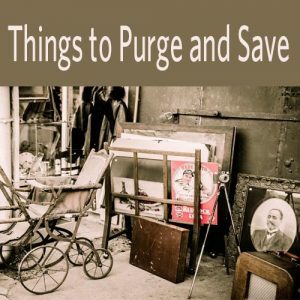 Things to Purge and Save: Don’t be a family history hoarder—but don’t toss genealogy treasures by mistake. Family Tree Magazine’s Family Archivist columnist Denise Levenick explains how to tell the difference. You’ll see why you might be hanging onto family history excess, how to handle an archival inheritance, and how to create a “watch list” for essential info. Develop a plan to future-proof your genealogy and deal with research clutter. Click HERE to shop! 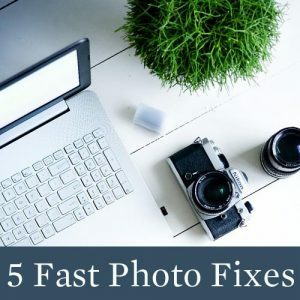 5 Fast Photo Fixes: Can that old photo be saved? Thanks to state-of-the-art scanners and free photo-editing websites, the answer is often yes! Let expert Nancy Hendrickson show you how to become a scanning master, what tools you need, and five fast fixes for even the most hopeless-looking family photos. You’ll also learn the most important rule of working with old photos, before you make changes that can’t be undone. Click HERE to shop! 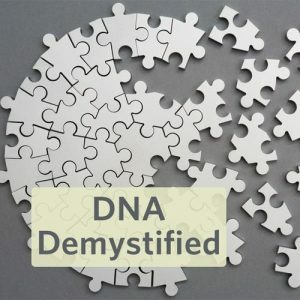 DNA Demystified: Interested in exploring DNA testing for genealogy but confused by the technical buzzwords? Have your test results but wonder how it actually applies to your family history? Our DNA expert will sort out the differences between X-DNA and mitochondrial DNA, explain admixture and phasing, and guide you through the mysteries of haplogroups, chromosome maps, SNPs, and more. Click HERE to shop! 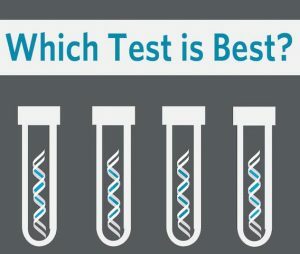 Which Test is Best? : How do the “big four”; DNA testing services—23andMe, AncestryDNA, FamilyTreeDNA and MyHeritage—compare and which is right for your genealogy research? Explore what each offers, how much their testing costs, and what the results look like. Check out examples of actual results from each competing testing service before you commit with your DNA and your credit card. Click HERE to shop! Who’s Got What? 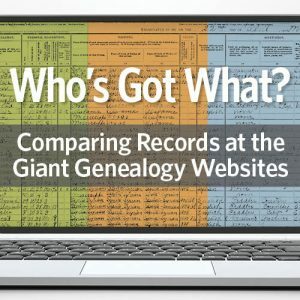 Comparing Records at the Giant Genealogy Websites: In this day and age, the internet is the first place we go to find records of our ancestors. But when it comes to knowing just which site to search for specific records, it can be a lot of trial and error. Learn all about what the four biggest genealogy websites contain in this hour-long presentation. Click HERE to shop! 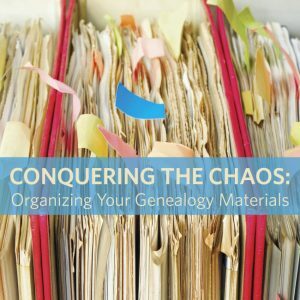 Conquering the Chaos: Organizing Your Genealogy Materials: Do you have stacks of papers, files, certificates, census copies, and other items around your home? You can conquer this dilemma and learn genealogy organization tips for regularly keeping your clutter under control, with both paper and software. No one can promise perfection, but this session will share many ideas to get you on your way, including tips from some professional genealogists. We’ll even discuss some “lazy day” methods to keep you on top of your filing. Click HERE to shop! 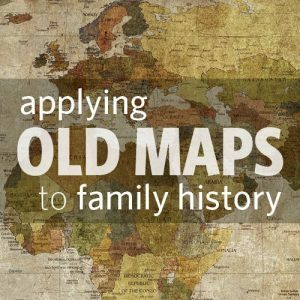 Applying Old Maps to Your Family History: Maps are for more than navigation and when it comes to your genealogy research, old maps can lead you to some real family treasure. If you want to explore the various types of maps that exist, and how they can be used to enhance your knowledge of your ancestors, this live class will provide you with the tools and techniques you need. Click HERE to shop! No promo code needed – please check your cart at checkout before making payment! Sale valid through September 23rd. Click HERE to shop – via Family Tree Magazine! *No coupon code necessary. Simply add two videos of your choice to your cart and the price of one will be automatically discounted. Sale ends September 23, 2018 at 11:59 pm MT. Valid on Genealogy Videos category only. Sale excludes live courses and the 2018 Fall Virtual Conference. Other exclusions may apply. LAST DAY! Save 30% on ALL SUBSCRIPTION PLANS at Findmypast. Were you successful in finding out more about your family history during the FREE ACCESS WEEKEND at Findmypast? Well, here’s a great way to continue the search – take 30% off any of the subscription plans at Findmypast! Click HERE for details on specific 1-month, 3-month and 12-month plans.